The Knight of Pentacles reversed is such an eye-rolling card. It’s not that it’s a minor one, but man, is it a drag. You or someone around you are stuck in one of many different ruts. Normally, the Knight of Pentacles is a good card to see, but when you get its reversed form, ugh. You’ve got some introspection ahead of you to get yourself out of this mental muck. 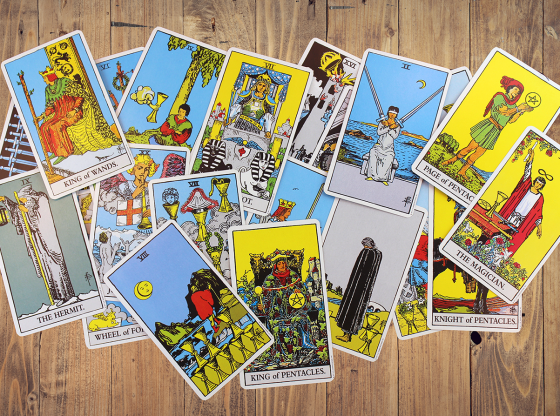 The Knights and Pentacles are usually pretty cool cards. 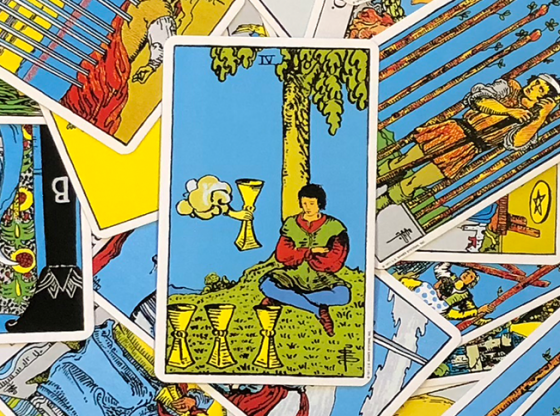 The Knights are people of action (traditionally young men, but they can represent anyone of any gender who exhibits their qualities) and the Pentacles is the suit of material goods and money. That’s a pretty good combination for anyone to get; who wouldn’t want to see that their efforts would bring rewards? The Knight of Pentacles card usually points to someone who is hard working and, while maybe not very exciting, is someone who gets things done. This is the card of keep on keepin’ on and going step by step to build up a solid foundation. 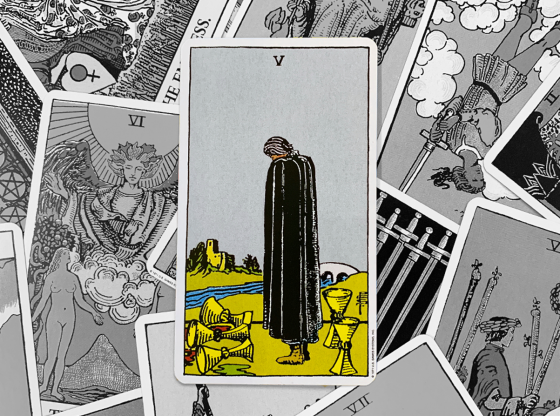 It’s a really good material card; it might not seem at the time like much is happening, but it’s all adding up and moving you forward toward a goal, or at least a better material state. But when the Knight of Pentacles is reversed, the situation goes from slow but steady to stuck and stagnant. Someone or a situation is boring, in a rut, plodding, not really going anywhere at all despite the work. And what’s worse is that any activity seems to make the situation mired in more psychological mud. This isn’t the frantic energy of a hamster wheel or rat race – it’s the overwhelming and walls-closing-in feeling of a situation that is just not progressing, except to get progressively worse. In fact, the Knight of Pentacles reversed can mean becoming so stubborn or obsessive that you’re caught on details and you just. won’t. move. past. it. Lovely, right? Such cheerful news to receive in a reading. This card reversed can also mean ignoring and avoiding. You aren’t doing the work because you don’t want to do the work, you don’t want to reach that goal – and if that’s the case, you need to have a serious talk with yourself about whether or not you should really aim for that goal if it’s not something you want. But maybe it’s not that you don’t want the goal, but you’re just so nervous about reaching it that you’re delaying what you have to do. Reaching a goal can actually be pretty uncomfortable because your world changes. You have to think about what you want to do next, and that can make people antsy. This is also a card of being too cautious and slow. Hey, caution is good, but if it makes you miss opportunities and restricts your life to the point where you see your goals sailing out of reach, maybe you’re being too safe. Not all risk is bad. 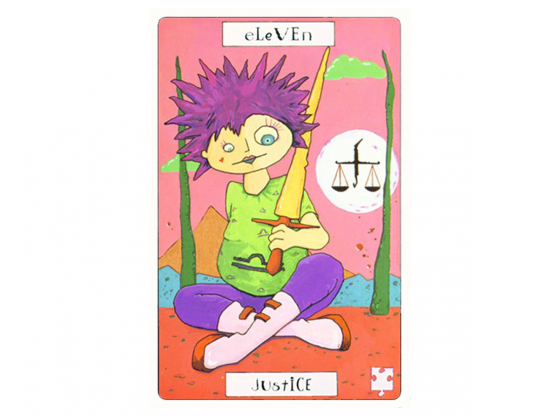 It is also possible that the Knight of Pentacles reversed represents an actual person who is being a lazy slug. Hopefully that’s not you. 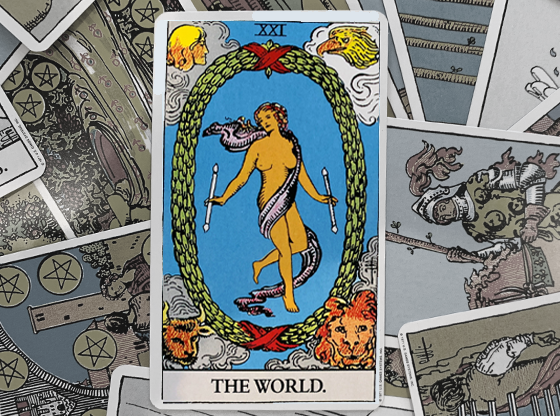 Determining the meaning based on card position in a spread is a bit odd with this one. 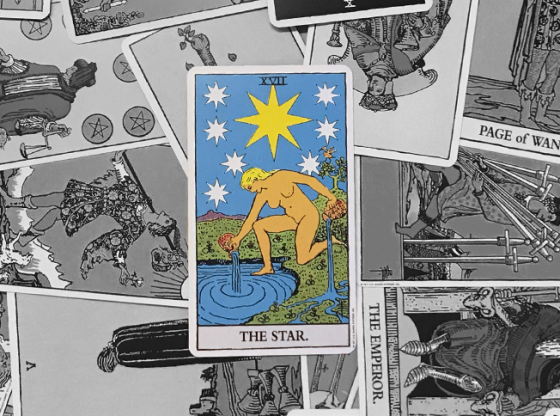 If you’re asking about a specific person and the Knight of Pentacles shows up in a position indicating other people or a future outcome, then it’s pretty likely that the card refers to that person. But it can also refer to you – maybe you don’t like this person, and your dislike translates into dragging your heels on a project. Really, the only good position for this card is one that indicates a past influence. While past influences can affect the present and still linger, there’s a greater chance of them being over and not really a concern anymore. That’s a better spot for a card as frustrating as the Knight of Pentacles reversed. This is a card that should really get a professional interpretation. Inspirational author Florence Scovell Shinn once wrote about the “king-pin”, the one log that is at the heart of any logjam. Find the king-pin and remove it, and the jam clears up. 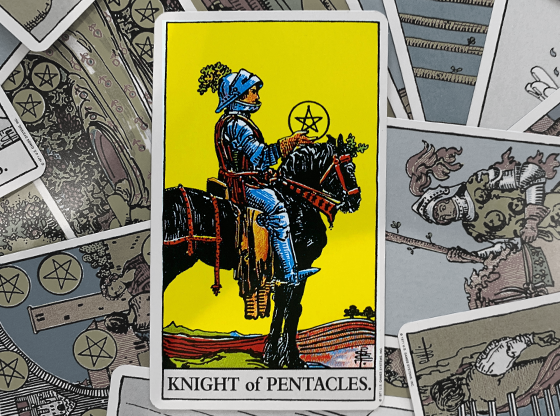 The Knight of Pentacles reversed is essentially the result of a jam created by a king-pin. 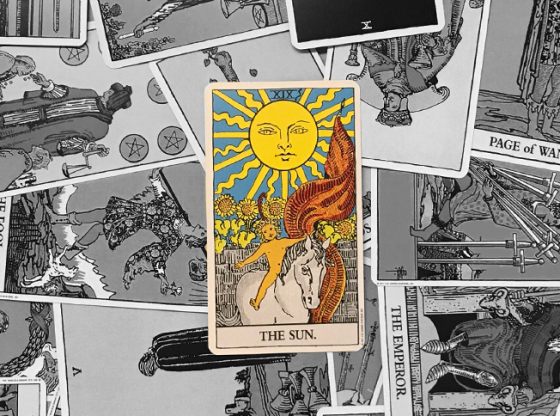 But because the stuckness from this card tends to seep out and affect an entire situation, it can be difficult to locate where that “king-pin” is exactly. A professional reading and interpretation can give you a fresh perspective. 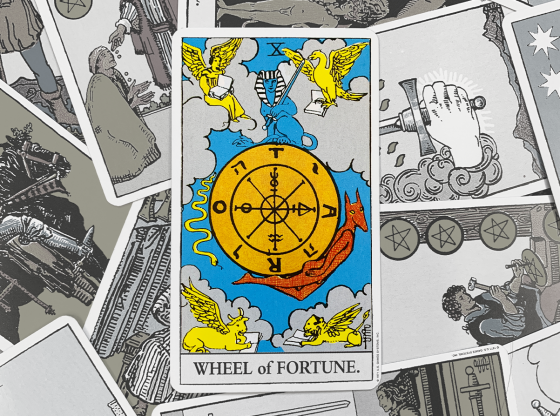 Don’t let the appearance of the Knight of Pentacles reversed make you feel like nothing will work for you. 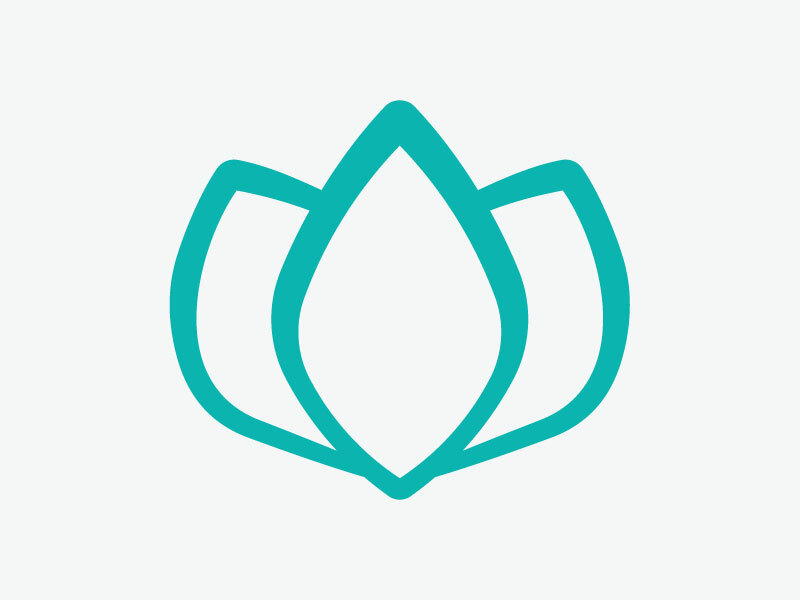 Seeing this card allows you to find the source of the problem and tweak it so that you channel energy in the right direction. 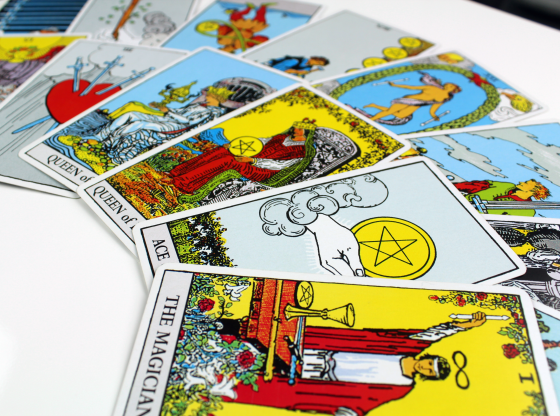 Talk to an expert tarot card reader on Keen for additional insights.